Connecting a community of fun-seekers with adventures! I have been waiting for this location to open for quite some time and every time I pass Bardmoor Promenade at the corner of Starkey and 102nd Avenue in Clearwater, I venture a peek into the spot that previously housed the Starbucks. 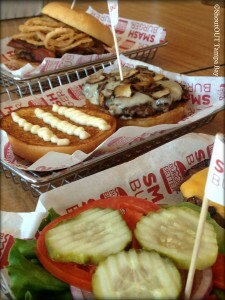 If you’ve never eaten at a Smashburger, you’re definitely missing out. It is more moderately priced, but you definitely get the portion and quality you expect. I’ve not yet heard when their grand opening is, but definitely share with you when I do. In 2009, I started sharing my experiences, food, travels, and events, along with all of the incredible people and businesses I was meeting and discovering. 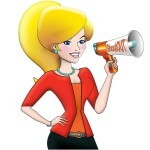 What began as a fun hobby had such an overwhelming response, ShoutOUT was born! I continue to stretch the boundaries locally, regionally, and nationally, discovering, sharing and connecting as I go. This entry was posted in Blog, Food. Bookmark the permalink.